Man. Supercar shopping. What a drag. Walking yourself between the rows and rows of exotic car on display. Exhausting. And for the plebs. 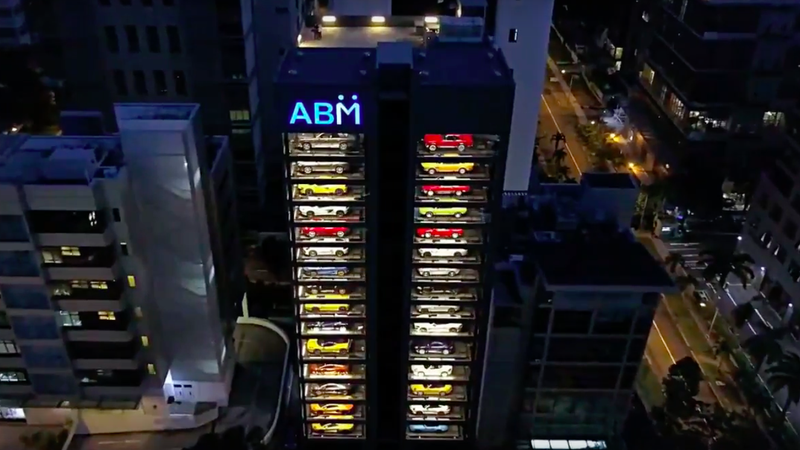 Last December, Autobahn Motors, a used car seller in Singapore, opened a 15-story showroom with 60 car slots. And it’s set up like a vending machine. Speaking to Reuters, general manager Gary Hong said, “We needed to meet our requirement of storing a lot of cars. At the same time, we wanted to be creative and innovative.” It seems the idea they landed on was plucked from steeply priced sodas and snacks found within glass boxes at the airport. Creative! As a customer, you’d wait on the ground floor and use a touchscreen display to choose the car you’d want to see. Then the car is retrieved for you by the system and is dropped off in a minute or two. Innovative! It’s kind of like Carvana in the United States—but with, like, way better inventory. And now luxury car buyers don’t even need to expend precious money-making time and energy on frivolous walking like one of the unwashed masses. Everybody wins!